BASIS Independent Brooklyn's physics teacher Mr. Winter has always been a super star to our students and community. 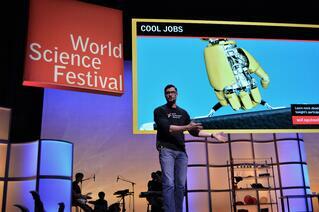 Recently, he was invited to participate in a "Cool Jobs" panel at the 10th Annual World Science Festival. 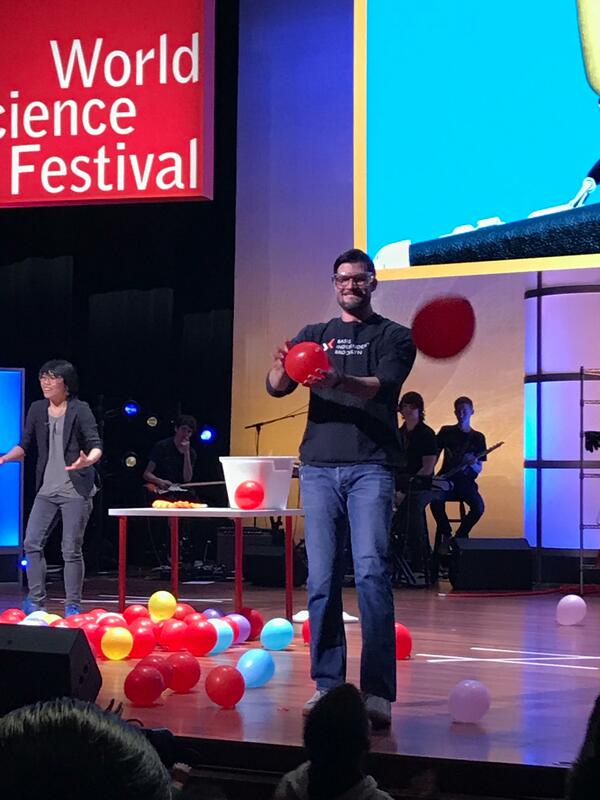 The conference reached out to amazing teachers who "make science and math as interesting and engaging as possible to the students they teach." Held at NYU's Skirball Theatre, the "Cool Jobs" panel featured several teachers focused on math and science. They saved the best for last, in our opinion, by closing with Mr. Winter's amazing physics demonstrations that are famous around our halls. Thank you, Mr. Winter, for continuing to inspire the next generation of scientists at our school every day. You and our all star faculty are truly assisting the art of discovery in science and beyond!